Slabs, reefs, contour winds, point breaks, beachies, sandbars. All of these (and many more) are studies of depth and complexity. You could spend hours understanding the nuances of a single break and still be surprised when a seldom seen swell angle arrives and delivers. As we’ve seen showcased throughout the incredible rides submitted into the Striped Horse Challenge, it’s critical to know when and where to go to get the best surf. But, if you really wanna win big, say R50k and a flight to Hawaii, all of your planning and charging would be for zip without dedicated and knowledgeable lensmen on the beach. The skilful capturing of these incredible rides are an essential element of this epic event. The photographers are well rewarded for getting creative angles and are often the deciding factor between a hotly contested round. And they should be; it takes just as much for the photographer to get the shot as it does for the surfer to ride the wave. So, before dashing off to dust off your point and shoot, be warned, surf photography is gnarly, especially in South Africa where we regularly encounter consequential waves and harsh environmental factors. It’s partially for this reason that it demands a highly dedicated, passionate and a little bit crazy type of a human to succeed as a genuine surf photographer. Introducing South Africa’s primo water photographer, Alan Van Gysen, a man who’s worked incredibly hard to develop his wave hunting and shooting skills into a fine art. Having photographed, scoured and explored coastlines all over the world, he unquestionably knows the ins and outs of a successful wave hunt. He’s also one of the judges for the Striped Hose Challenge. 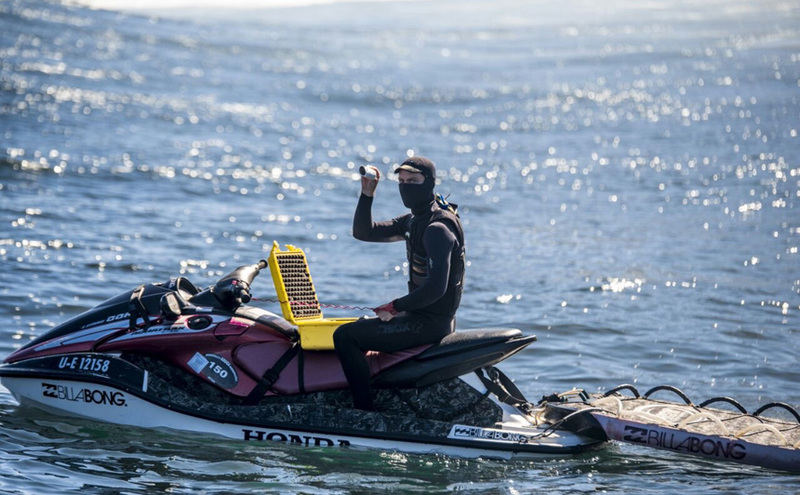 So, Zag sat down with him to spitball what it takes to find, and surf, the best waves on any given day and hear his thoughts on the event as a whole.